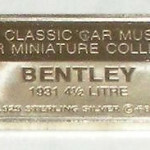 This a 1931 Bentley Classic Car Museum 925 Sterling Silver bar. 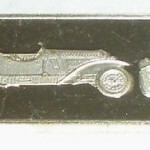 It has an impression of the Bentley on one side and the bar information on the other. Size is 15/16″ by 3/8″. Weight is 2.6 grams. It has some very light surface scratches that are visible but not deep at all and do not detract. Other than this, condition is excellent. Better than the magnified photo. 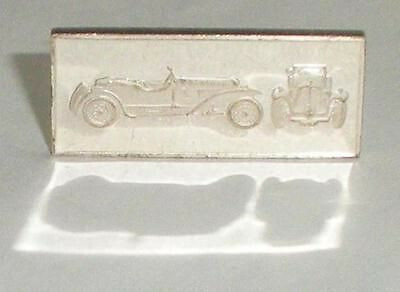 This is a lovely classic car bar to repurpose into a fob or charm for anyone who enjoys classic cars. It has good detail. 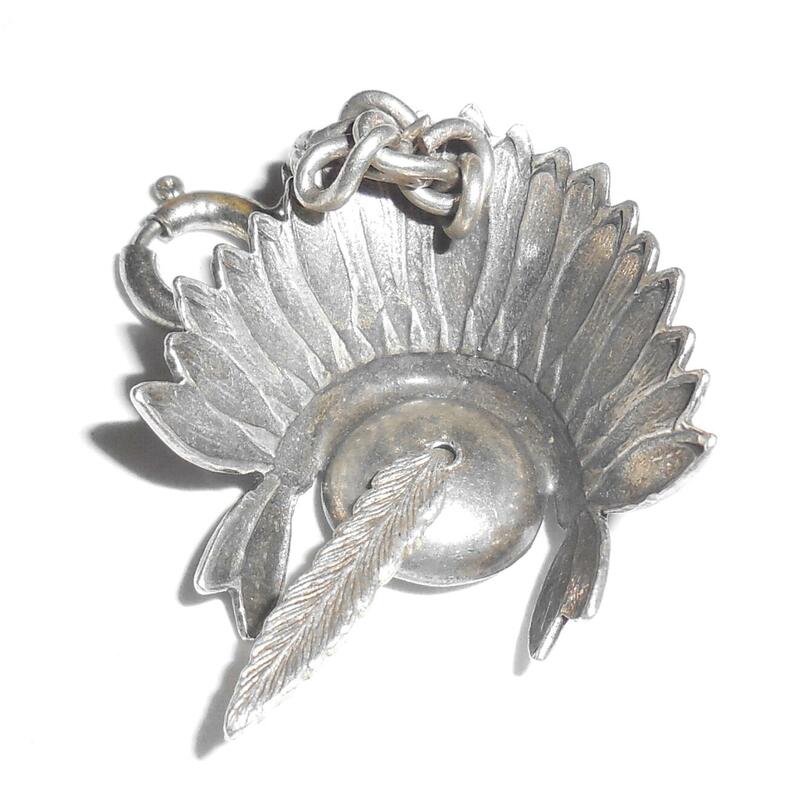 This is a small vintage Native American or Southwestern sterling silver Indian headdress charm or fob in excellent, original condition. It is quite detailed and has a moving feather that dangles. It also has a lever jump ring so you can add it to an existing bracelet or a watch chain. There is also an additional link to add another charm if desired. Size of just the headdress is 1 1/8" tall by 7/8" wide across. Depth is 3/8". Condition is excellent. This is a lovely vintage charm to enhance your Southwestern or Native American bracelet, charm holder, key chain or watch chain. 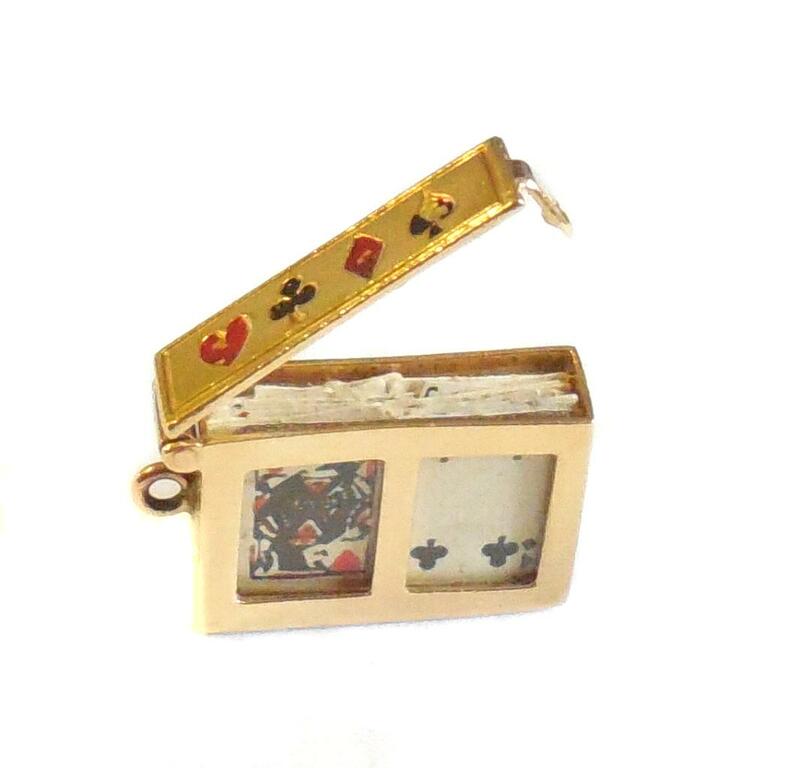 Vintage 14K Gold Mid Century Deck of Playing Cards Movable Top Age: 1950s; from a mid century estate and came off a 1950s charm bracelet Metal: 14K Yellow Gold, solid Material: Paper cards, Glass crystals Size: 1/2" by 3/16" Weight: 2.9 grams Condition: Some cards missing otherwise excellent. Minimal age wear to paint. No dents, dings, scratches, tears, repair or other damage. All original and never altered in any way. Lid opens and closes with ease and stays closed when snapped in place. Edge is engraved Fran,Helen, Kay. This is an interesting vintage sterling silver charm made by HM of NY. It is a silhouetted child praying on one side and an antique candlestick telephone on the other. It is marked H7M, SS, jeweler tested and guaranteed to be solid sterling silver......not plated. Size is just about 1 1/4" tall with the bail. Condition is excellent, gently used. Some light surface age wear only. No damage. No repair. This is an unusual vintage mid century statement charm for your collection. It was never monogrammed or inscribed. As always, FAST, QUICK SHIPPING! Please feel free to use the contact us link on top of this page if you have any questions. 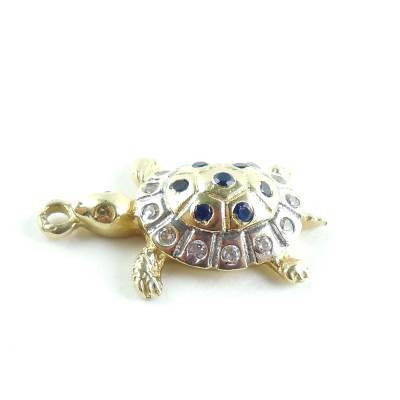 For sale is a 14k gold turtle charm with blue sapphires and Czs. The charm is beautifully decorated and very high quality. It has sharp and crisp detail work and only minor surface wear consistent with its vintage age. 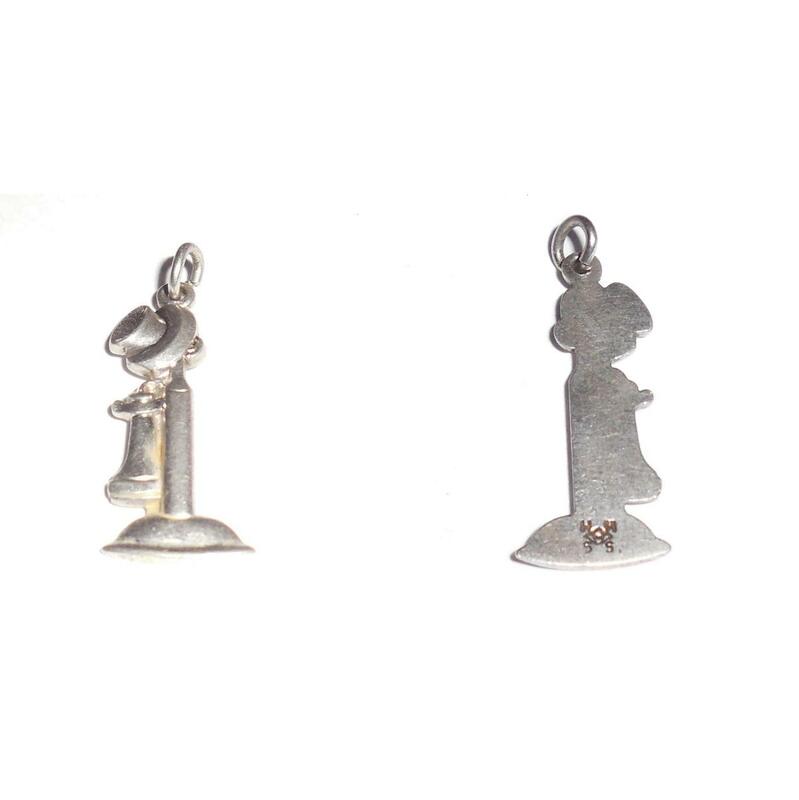 The charm measures 1/2 of an inch wide and is 13/16 of an inch long. The charm is very showy and sparkly and would be a great addition to your jewelry collection or charm bracelet.